Arrived on time, did a great job, cleaned up. Easy to understand what was being done. Upfront pricing and willingness to get to the bottom of the problem and get it done. Our service man Matt Pulido was very friendly and knowledgable , would highly recommend him to anyone. The effectiveness and professionalism.Thank You. 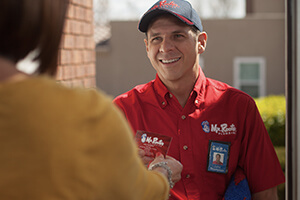 Mr. Rooter. Gladys Herod.